Unlike most of the country, we had our first actual snow here in Portland last weekend. 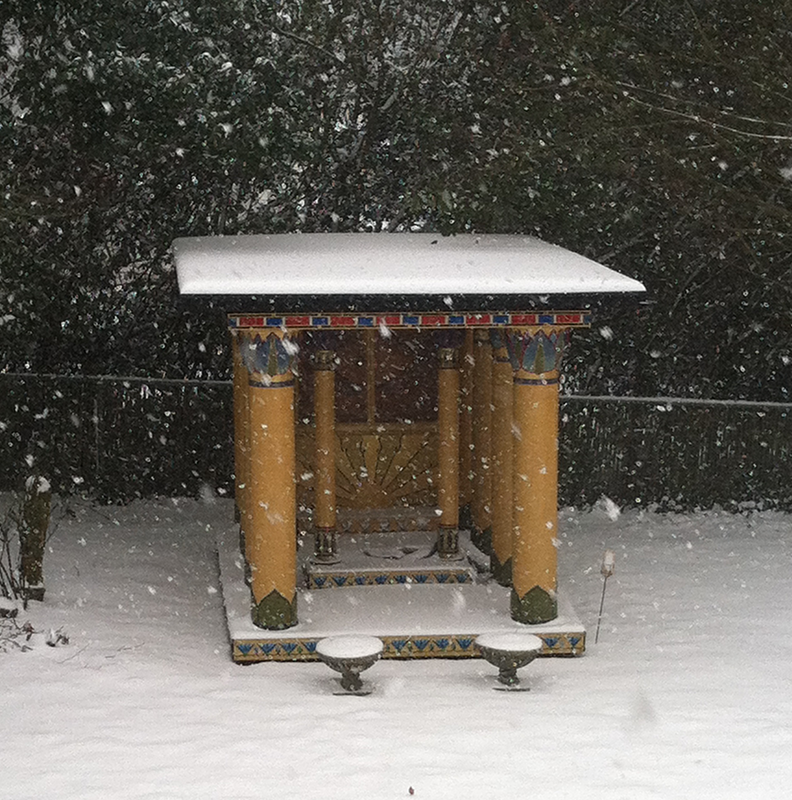 Thought you might like to see the incongruous-ness of an Egyptian temple in the snow! Ah, she is lovely, is she not?